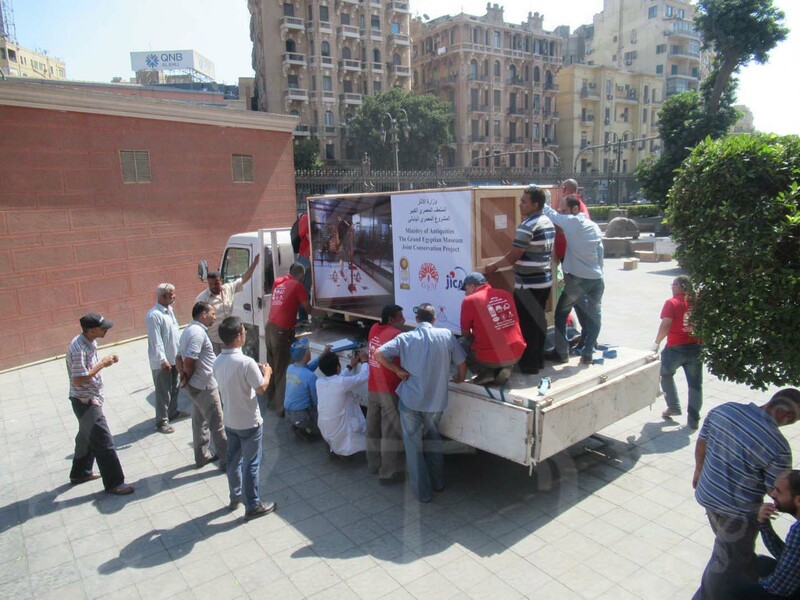 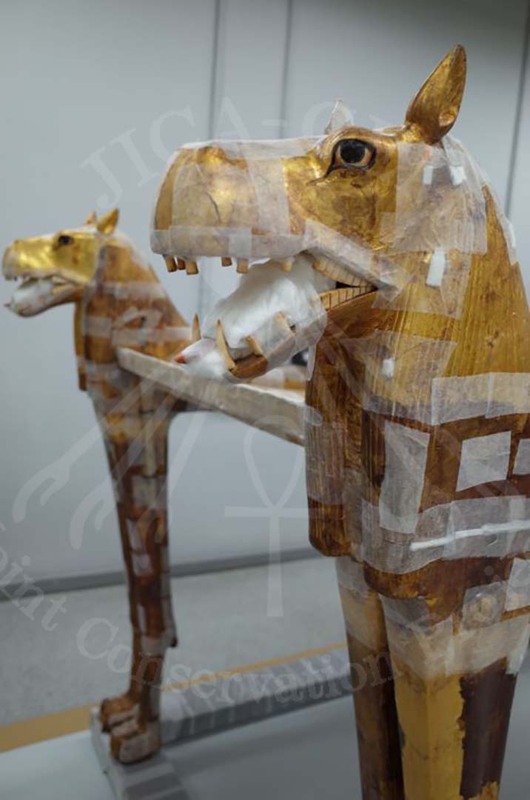 Another bed and chariot were successfully transported from the EM to the GEM-CC on the 5th and 9th of October. 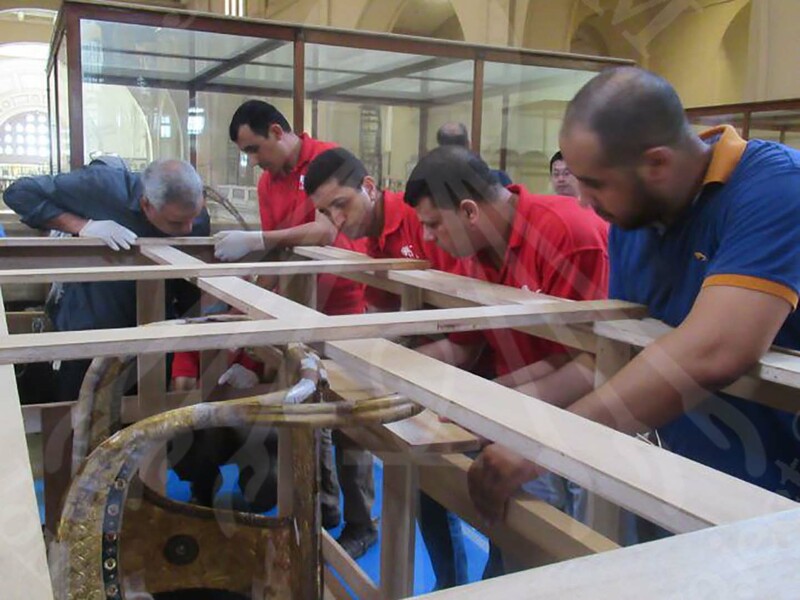 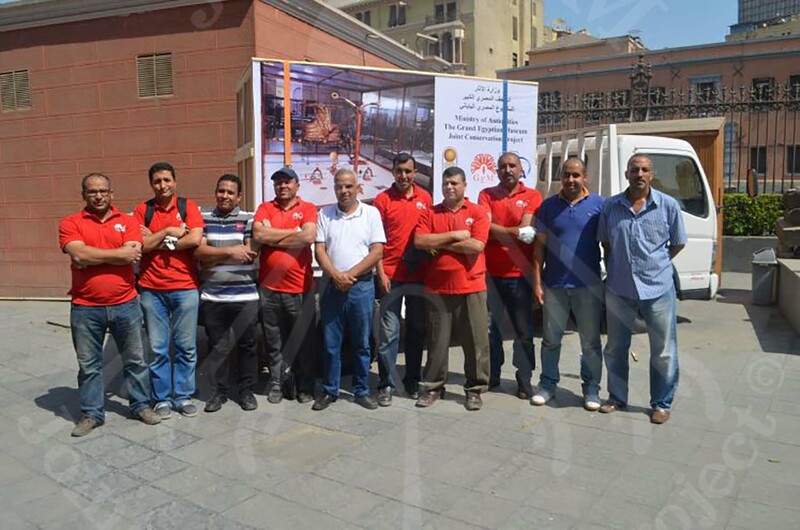 Although the 5th was a make-up holiday for the national holiday of the “Armed Forces Day” in Egypt, the transportation team members gathered in red project t-shirts uniform and worked together in superb team work again. 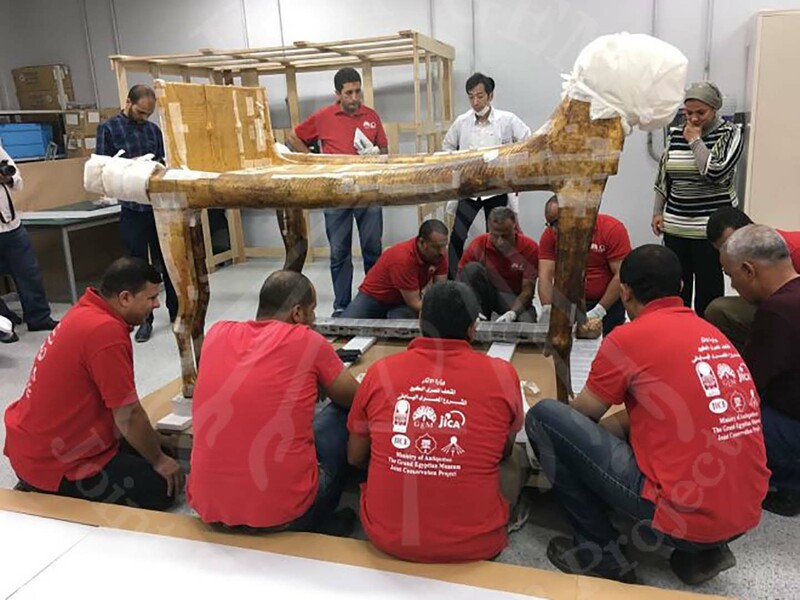 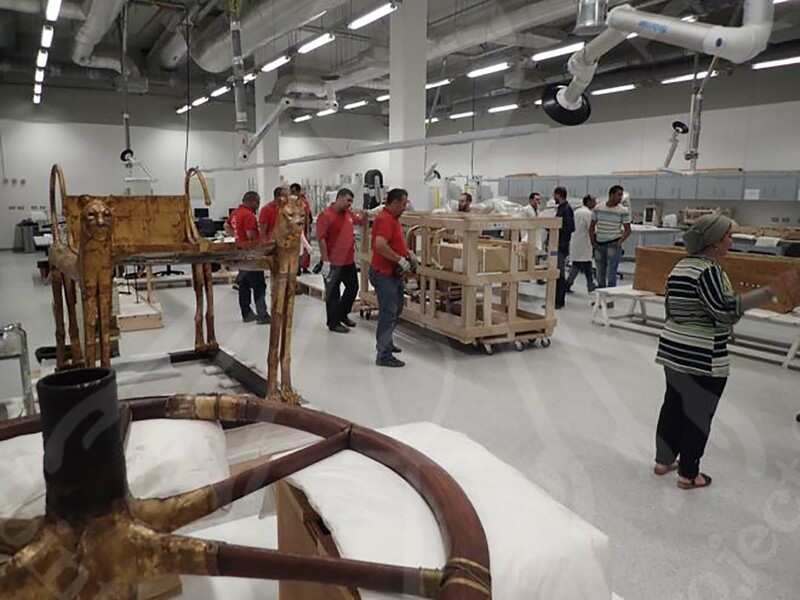 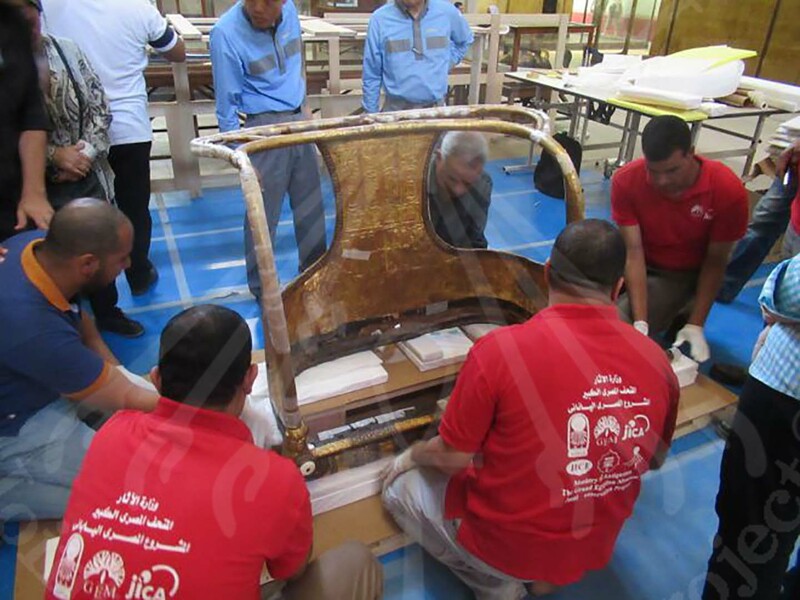 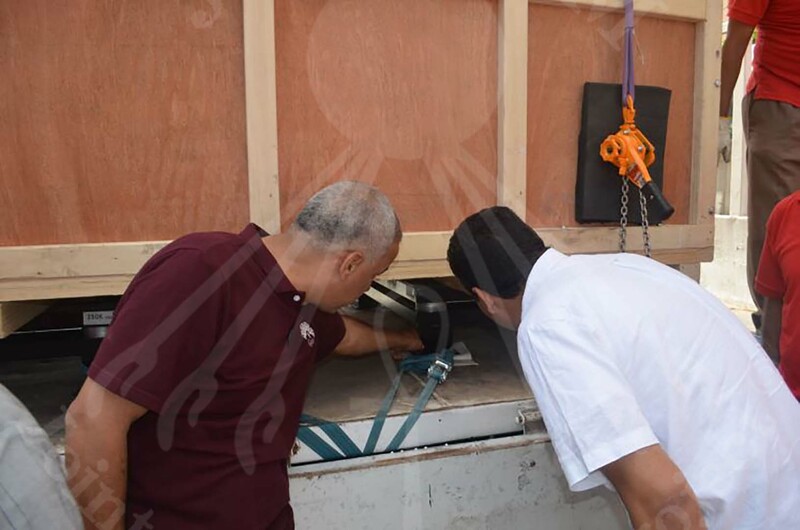 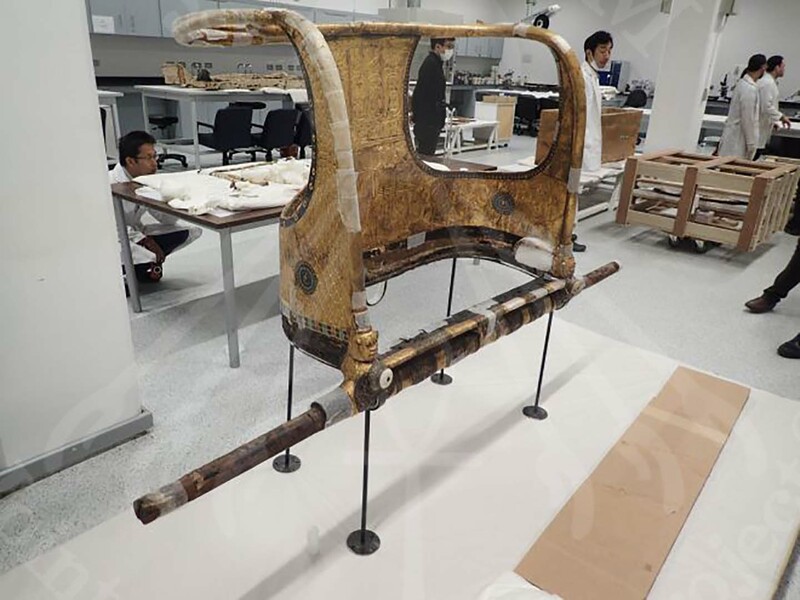 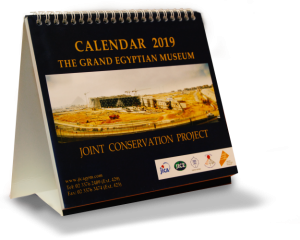 First of all, enough work space must be secured inside the museum, then, packed it carefully into the wooden box, taken down from the second floor to the ground floor, and loaded it onto the truck. 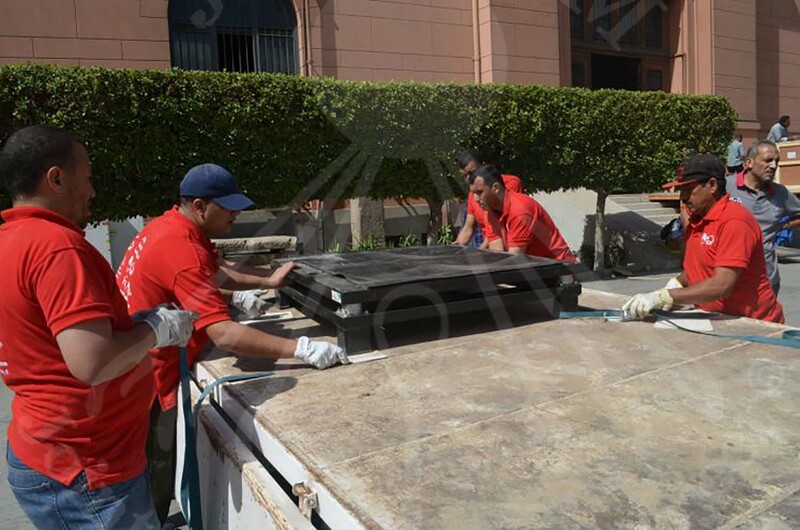 Even in October it is still a bit hot in Egypt. 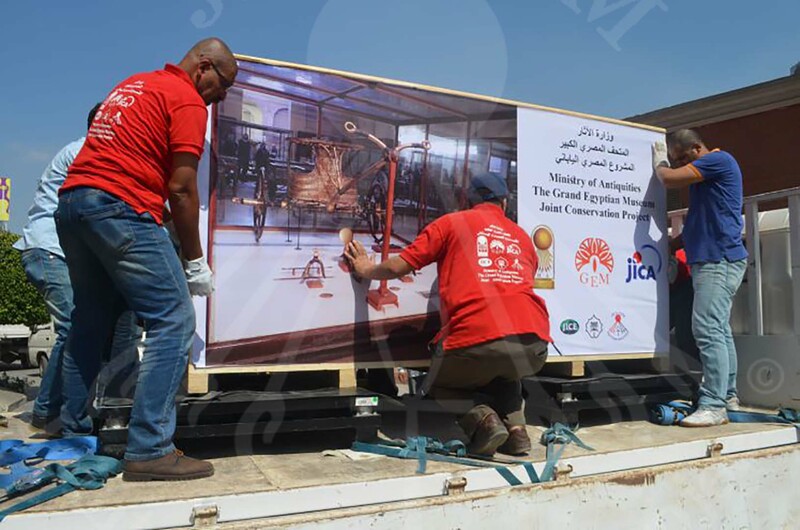 With all the measures to avoid drastic humidity and temperature changes, we carefully put it on the truck and transported it safely to the GEM-CC.